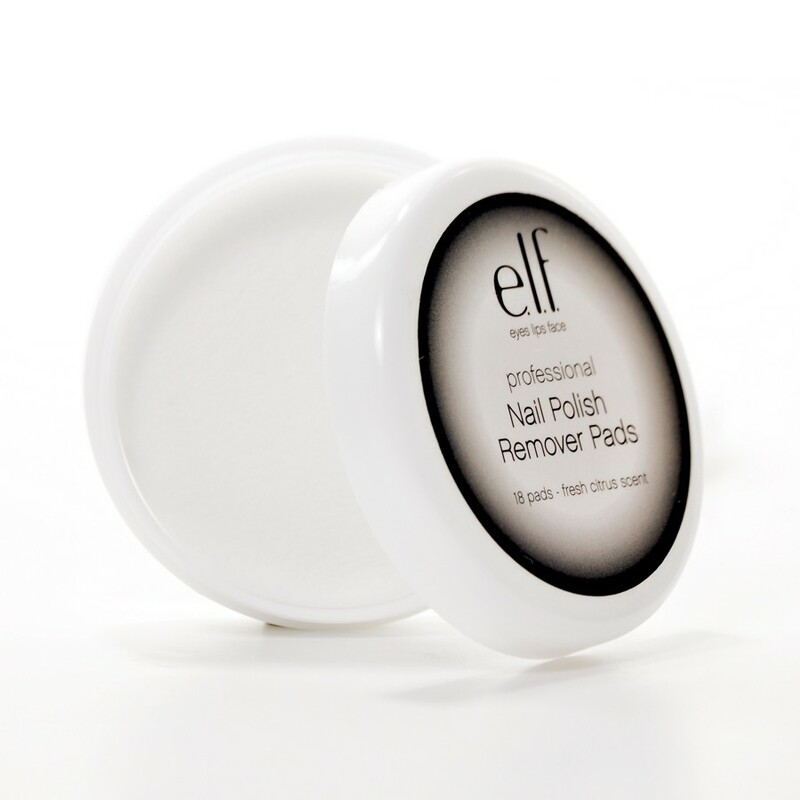 Nail Polish Removal On the Go! 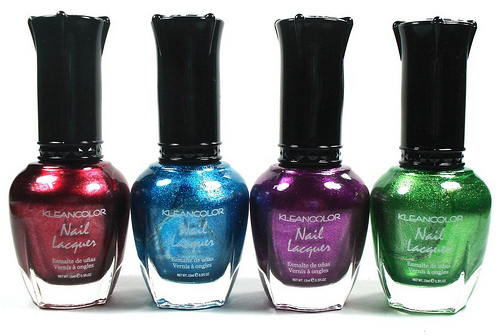 You may love wearing nail polish and changing the colors up frequently. But the thought of lugging around a bottle of nail polish remover while traveling or dealing with badly chipped nails while outside the home might seem like a pain in the neck. I have a growing stash of fun nail polish colors, but I rarely used them because I didn’t want to have neon green nails and get called into an audition for a professional businesswoman. Then I realized I could jazz up my nails whenever I want and just carry nail polish remover pads to clean up on the go. These e.l.f. ones are $1 and come with 18 pads. 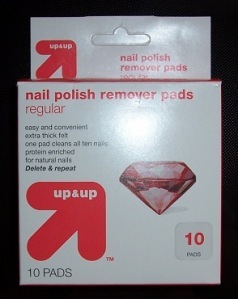 I bought the Target brand Up & Up ones for about $3 for ten pads because they have individual pads for easy packing. 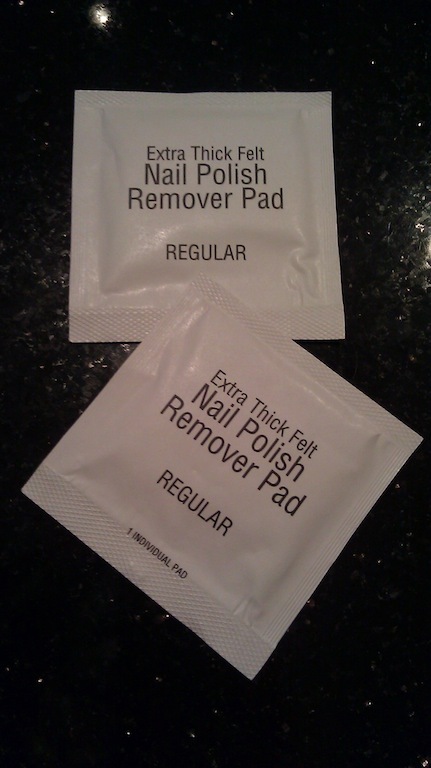 Each pad cleans all 10 nails, but I throw 2 in my purse (some polishes are stubborn, especially ones with glitter). 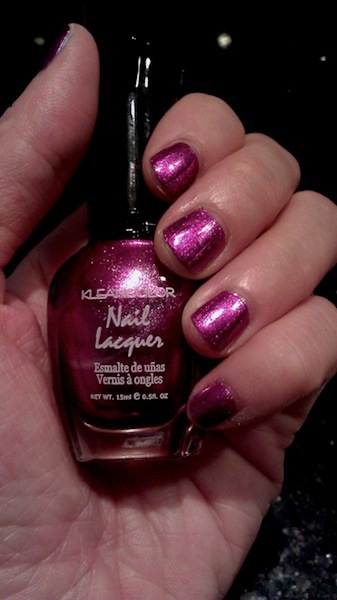 This is Kleancolor’s Metallic Fuscia (only one coat!) In different lighting, it looks more purple as in the photo above. I loved it for only 99 cents at the beauty supply store. Written by: Erica Cho on January 30, 2012.
great idea! I always use one or two psiolhes, until I buy a new shade. Then the rest moves to the back of my bathroom closet and I forget all about them Your way seems a lot smarter!